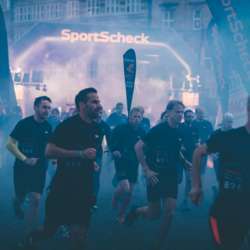 There is a very popular night race in Bremen, SportScheck... if you have run a night race you know it is something special and fun! Let´s gather together to warm up, then during the race everyone should go to his/her own pace and, at the end, we all can go to eat something or have a hot chocolate together. You can choose between 5km and 10km race. Sign up in the official event web page and then, once you payed the official inscription, sign up here to go with us!